What floor plan did our home buyers love most during the month of August? The four bedroom, three bathroom, Gabriella! This floor plan is available to build with either a front or side load garage and has a brick and stone exterior. 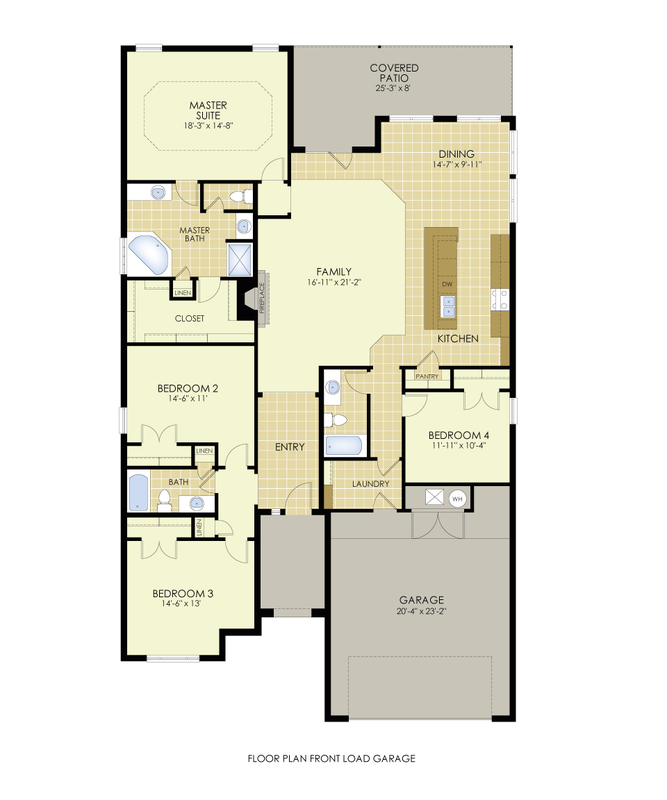 She has a 16′-11″ x 21′-2″ living area with adjoining dining and kitchen space. This space is great for hosting guests or for growing families to spend time together. The Gabriella is 2,363 square feet. Interested in building a Gabriella? Contact a member of our sales team in Lubbock (806-687-8787), Midland (432-218-8646) or Odessa (432-366-0396).